16th: Darren Shan - Palace Of The Damned and Brothers To The Death (Int) -- 3 winners! 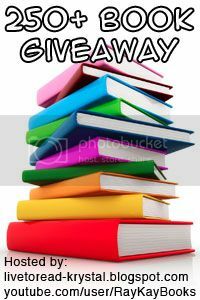 Enter the rafflecopter below for a chance to win 50 books. BEFORE ENTERING please note that some of the books you'll receive will have library stickers on it and / or are used. Also, when the message says "Do this again tomorrow for more entries" it means put in different links, not the same one. We had this happen a few times before and it's not fair to people who play by the rules. If you keep repeating the same social media / comment links on any of the Rafflecopters you'll be disqualified. We check every entry, so don't think we'll be fooled! Last year people didn't really know how to enter a rafflecopter properly and many didn't win because of it. PLEASE read here before entering. All Rafflecopters end May 15th! I think for now I looking forward to read Victoria Scott - The Collector. It sounds really great. Thanks for the chance to this awesome giveaway. I'm most anticipating Confessions Of A Cereal Mother!!! I'm looking forward to either Sunrise or Burning Dawn. Thanks for the awesome giveaway opportunity. Oh Gosh! there is soo many books i been wanting to read and this list would be never ending. But i do have to say i am really excited for Cress and Sliver Shadows. looking forward to Polly Shulman's The Grimm Legacy.. this was a hard choice as their are many that are really really good!!! Ha, everything? ;D Side Effects May Vary. I am so ecstatic that you are doing this :D By the way I LOVE the peter pan are and quote. It gave me chills. The good kind of course! I'm looking forward to Shadow and Bone! Thank you! So excited for all of the great giveaways! It's still so far away (April!) but I'm dying to get my hands on Jenny Han's "To All The Boys I've Loved Before" because the plot sounds very interesting and unique. "Unremembered" by Jessica Brody and "Unforgotten"
Ooh the Splintered/Unhinged flip ARC sounds awesome! I'm sure all of these books would be great. I'd just be thrilled to win. One of the books that I'm most excited for is Dirty Little Secret by Jennifer Echols. I am dying for The Murder Complex, Split Second, and The Troop! I am looking forward to Shadow and Bone. Kristi Helvig - Burn Out is the one that I'm looking forward to!! I hope I'd win that one! I'm looking forward to The 13th Sign by Kristin Tubb. There's so many of these books that I can't wait to read, but if I had to choose one it would be Deviants by Maureen McGowan. Thanks so much for the giveaway, it's an amazing opportunity! I'm really looking forward to Splintered and Unhinged!! Thank you for this awesome giveaway! Where the Stars Still Shine, A Mad Wicked Folly, This Is What Happy Looks Like......There are a lot! I am really looking forward to Unhinged! I have to say that I'm looking forward to all of them! There are several that I have been wanting to read and several that I've been wanting to get a permanent copy of! I cannot wait for Shadow and Bone! Thank you for the giveaway but I have a question - when I click on the like a review links in the rafflecopter it takes me to my own reviews on Amazon - and I looked up a few of the books on your list but I can't find a "like" button :( Can you help me? I want to win Monument 14! I don't have a clue which book I'm most looking forward to! But I'm sure there will be quite a few I'll enjoy. I'm looking forward to the third book of the Throne of Glass series by Sarah J. Maas!! I'm so pumped for The One by Kiera Cass!!!!! I think I'd really like The Art of Being Rebekkah. This giveaway is so exciting! I am yearning for Anne Bishop's Murder of Crows. There are way too many to list! Thanks for this AMAZING giveaway!! Thanks so much for the giveaway! I WANT ALL OF THESE BOOKS! Shadow and Bone and alot more!!!!! What a great giveaway! I'll have to get at least one more bookcase if I win. I'm looking forward to City of Heavenly Fire By Cassandra Clare and way too many to list here! this giveaway is awesome!! :) The F-it list looks really gooood ;o I'm a little confused of how i can win the daily books?? I was looking forward to Shadow and Bone. It was one of my favorite books when it was released! i am looking forward to the last of the mortal instruments city of heavenly fire! So hard to choose just one from all of these amazing books, but I'm most intrigued by the never before released Ned Vizzini House of Secrets & Uncle Tumba. I've heard great things about Side Effects May Vary. Really looking forward to that one. Darren Shan. ALL THE WAY!!!! 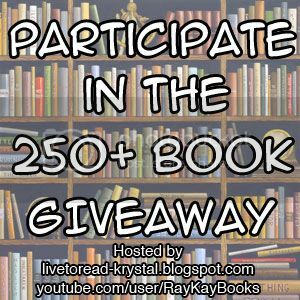 I loved your video post and I don't really have one book I'm looking forward to reading because there are so many amazing books that you're giving away!! I'm probably looking forward to Solving For Ex by Leigh Ann Kopans! I've been waiting for ages. I would love to get my hands on Side Effects May Vary. I'm highly intrigued by the premise of "The 13th Sign" and would love to see what Kristin Tubbs did with it. I am looking forward to The Darkest Craving by Gena Showalter. Thanks for the fantastic giveaway! I don't even know! I can't decide! Hoping to win this thing! Aaaah! Im looking forward to City of Heavenly Fire!!!! I suppose I would be happy with just about anything other than a purely romance book. Shadow and Bone, Side Effects May Vary, Unremembered, or Burn Out. I'm really looking forward to Splintered and Unhinged!! When will this giveaway end?